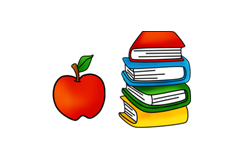 Clipart 4 school is a useful resources and school clipart for teachers, educators and Teacherspayteachers members can purchase and use clipart for commercial and personal purposes. We pride ourselves in having a very leniant commercial-use policy for all of our clipart on the site. As an artist and an educator myself, I enjoy being able to share my hand drawn creations with the world. I also take custom requests on school clipart as well so feel free to reach out to me at the contact form for all of your custom requests. For additional clipart that cannot be found on Clipart 4 School, you can visit my Etsy Shop I365art for more original and unique clipart for commercial-use!